Save space, insure safety for your growers and facilitate even drying of your indoor crops with good airflow. See how you can effectively dry your carefully harvested cannabis buds and branches with our pull-out drying racks. Maximize your footprint and create an efficient and controlled environment in your space. 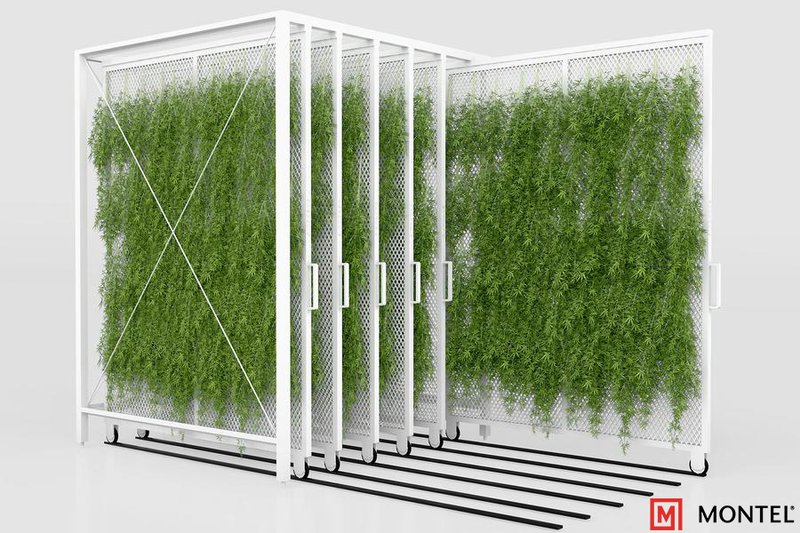 With our high-density modular pull-out drying racks, control heat and humidity and decrease the chances of mold, mildew and disease. Made from high quality materials and first class designs, offering unrivaled durability & quality. Streamline all production processes such as potting, spacing, trimming, order picking and more. Yield top-quality buds, greater potency, better aroma, flavor and appearance. Proper spacing allows all the plants to get adequate airflow, which speeds along the drying process and reduces the chance of mold developing while the buds dry. Carefully tend to your plants while they dry with safe pull-out racks – which move along steadily and effortlessly.